Soft bamboo brush head. Tip hair design, smooth like as silk, diameter is smaller than skin pores, filaments and deep cleaning pores, bamboo charcoal can absorb oil dirt, soft and skincare. Cleaning fiber brush head. 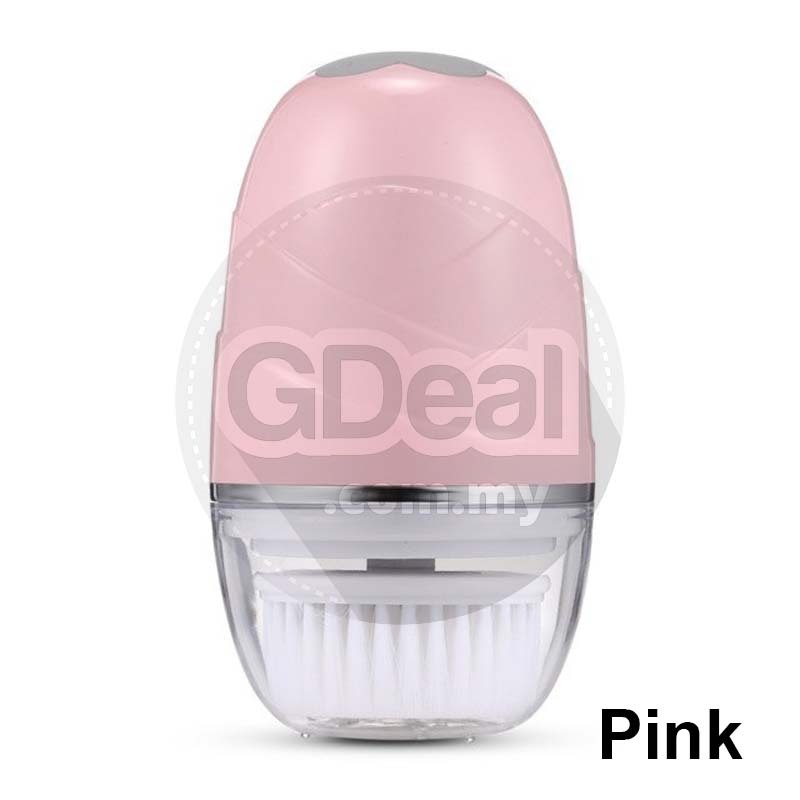 Tiny and high tenacity Nylon bristles to exfoliate dead skin effectively. Special makeup removal head. 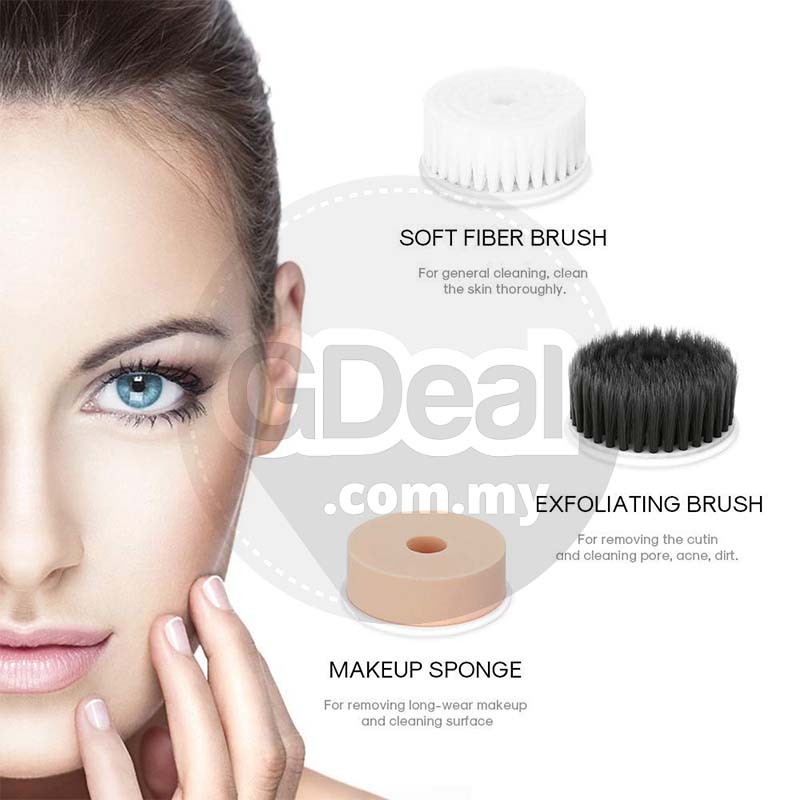 Use natural sponge, with facial cleanser or makeup remover water, soft cleaning, quick makeup removal. With 2 varying levels of rotating speed, you can use it according to your specific skin concerns. Designed for fragile or acne skin, Speed 1 (300rpm) is delicate enough for even very sensitive skin conditions. Speed 2 (450rpm) is devel-oped for oily and thicker cuticle skin. Improves healthy looking skin in just 2 minute. Skin tone, Pores, Smoothness, and Brightness. 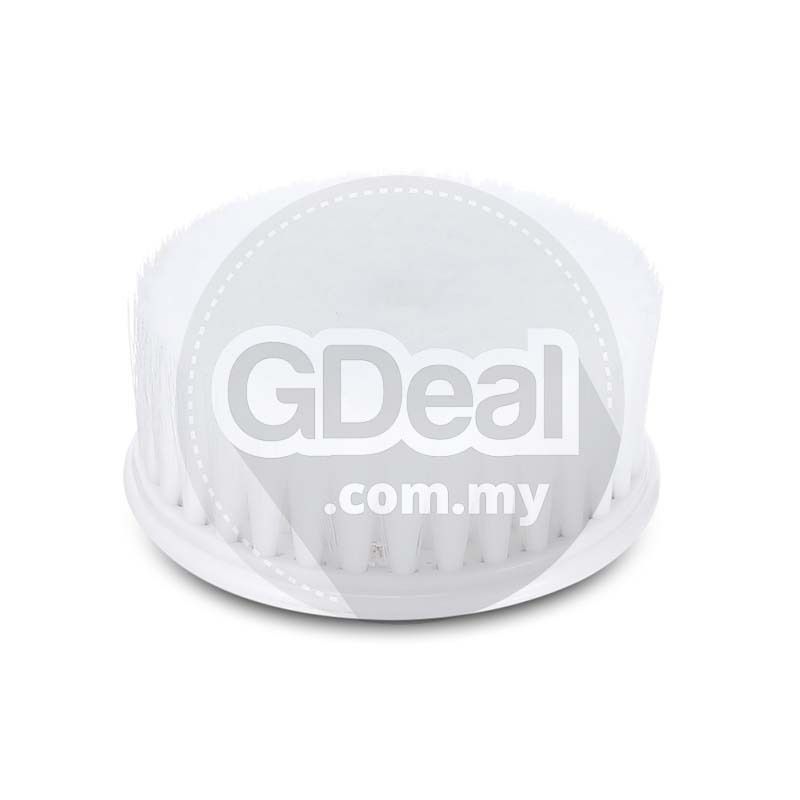 Breathable protective cover with 24 mini holes to prevent bacterial growth. Pore-grade microfiber bristles (brush with a minimum diameter of 0.05mm in the market), soft texture, does not hurt the skin. Massage Skin: Cleansing brush can effectively massage face skin, promote cell microcirculation, make skin more energetic and elastic. 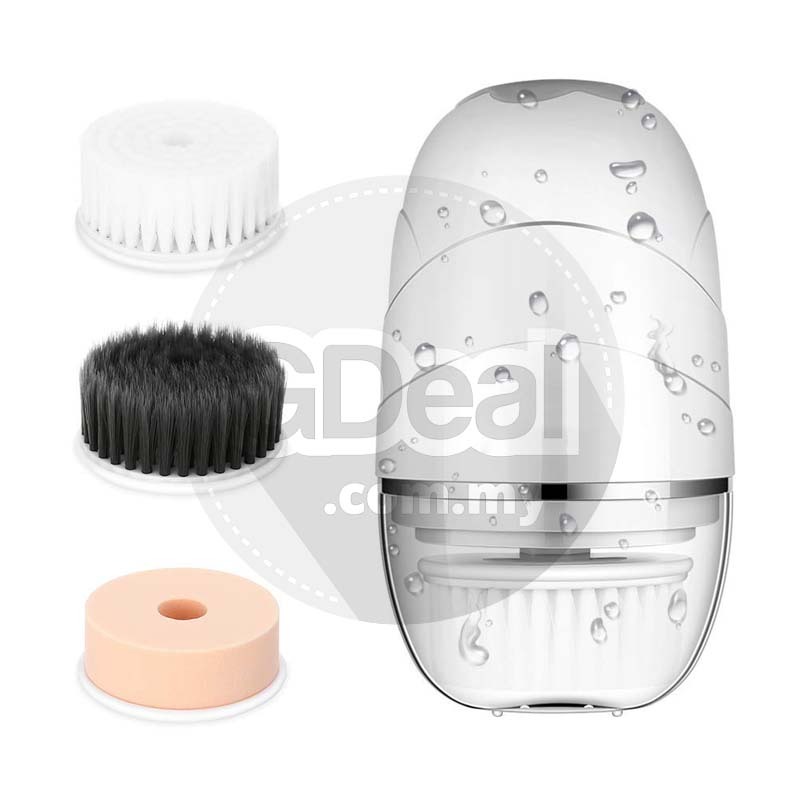 3-In-1 Facial Brush Attachments.The facial cleansing brush set includes 3 brush heads can meet all your needs of cleaning and massage skin care. All heads can rotate 360 degrees. 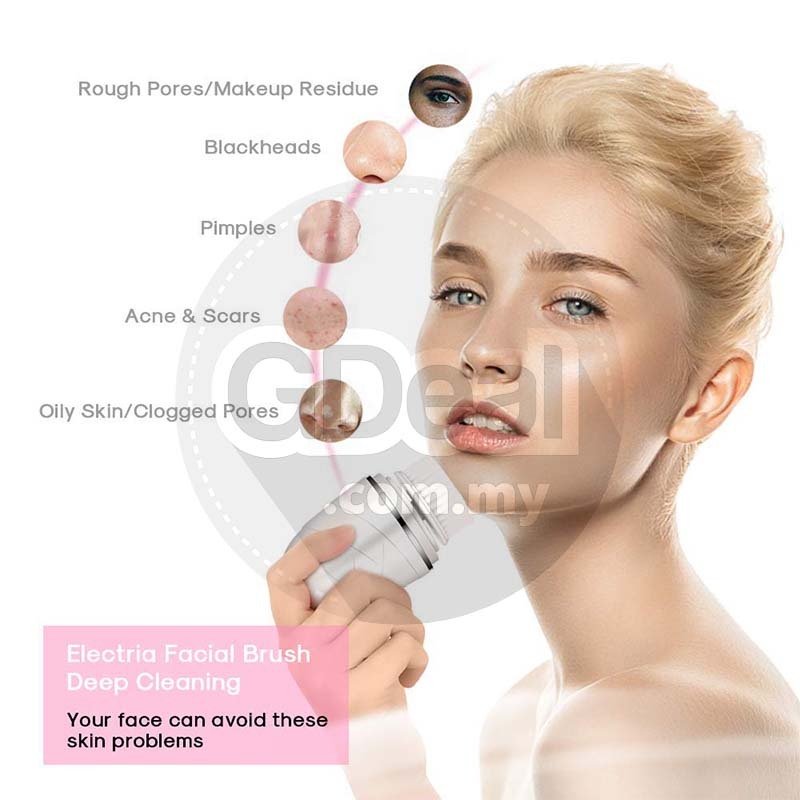 The sponge head for makeup removal, the soft brush head for daily facial cleansing and the exfoliating brush for removing the cutin, clean pore and acne dirt and gently remove blackheads. All in one set provides you with different choices that you can replace with any head so as to adapt to your skin needs. Two Speed Setting. This electric face cleansing brush has 2-speed settings with powerful rotary spin to customize your skincare routine. Lower speed is gentle enough to deliver daily deep cleansing. Suitable for sensitive skin. 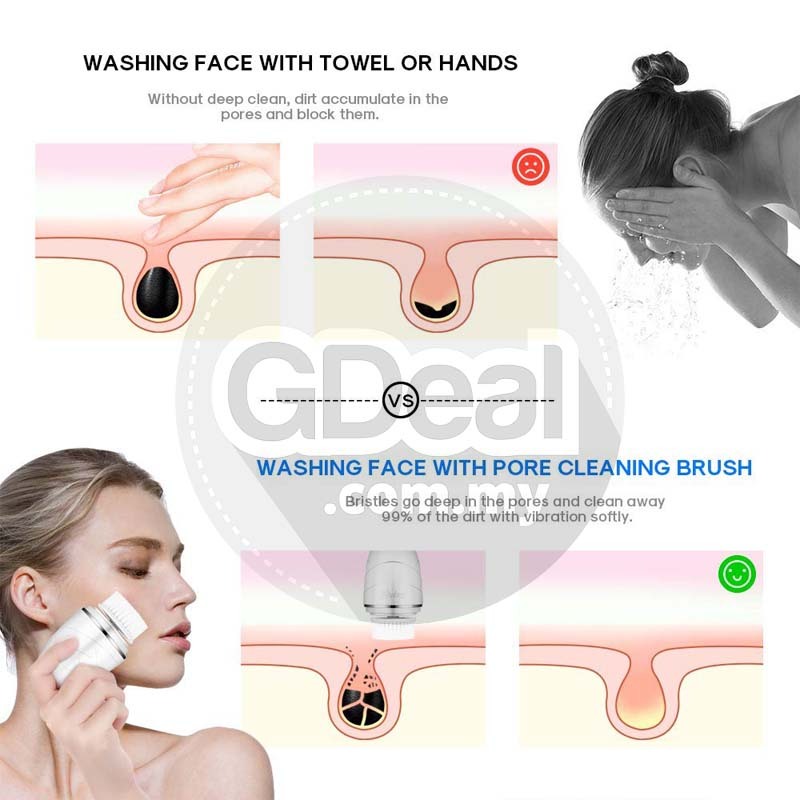 The high speed for deep-cleaning to reduce the appearance of blackheads and whiteheads, get a better exfoliation and 10x more efficient than washing your face with hands. Excellent Waterproof Design. 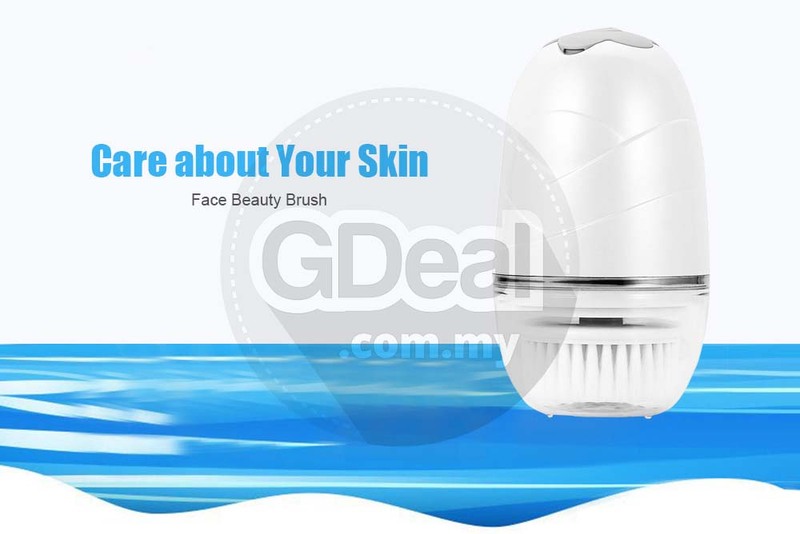 The water resistant facial brush is deal for in the bath or shower. 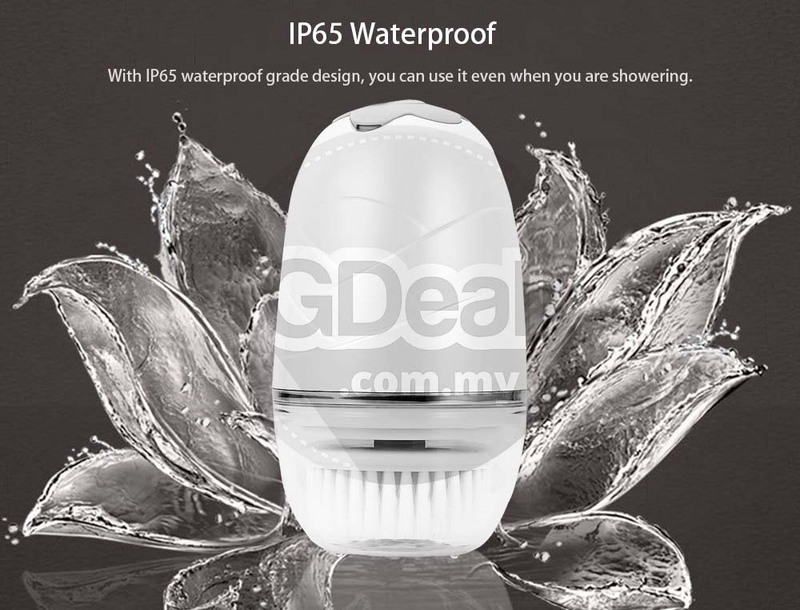 You can use it freely while taking a shower, the high quality ABS material can effectively isolate the water droplets into the device. 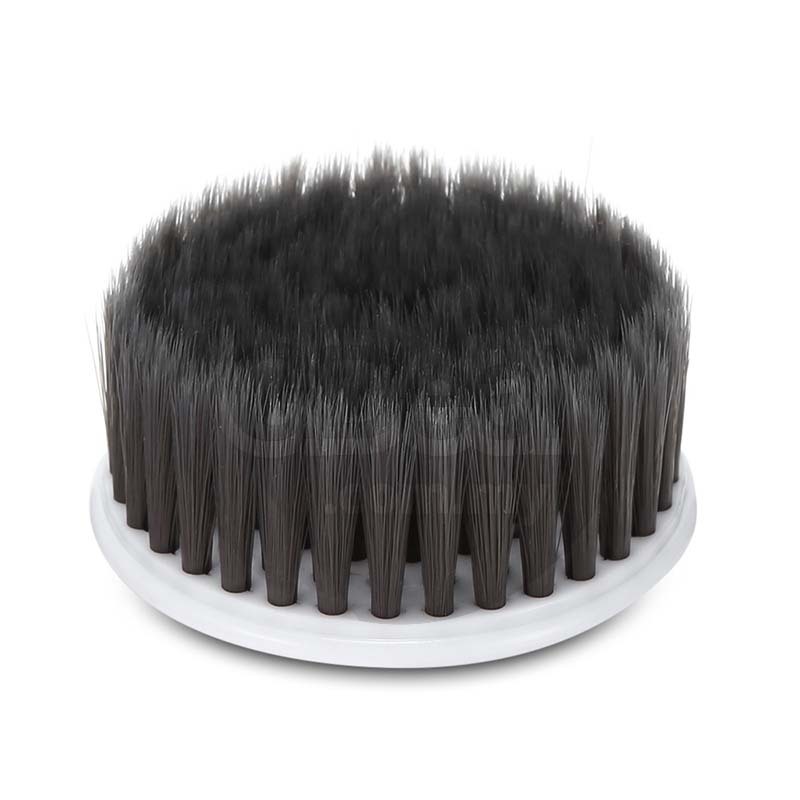 The brush heads can be washable to avoid accumulation of dirt. 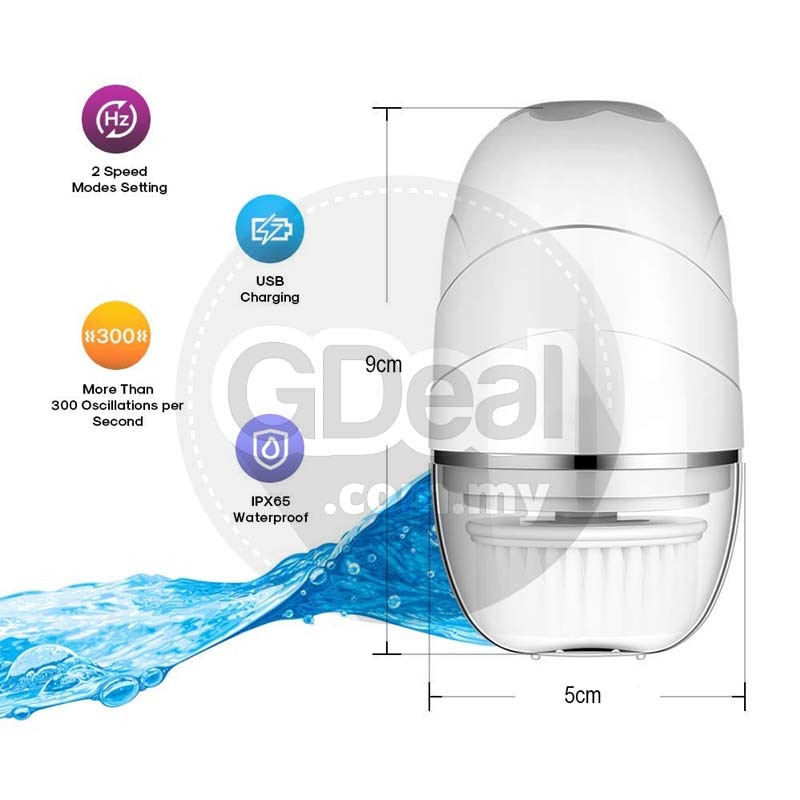 But DO NOT immerse the whole facial cleansing brush device into water. Safe & Easy to use. 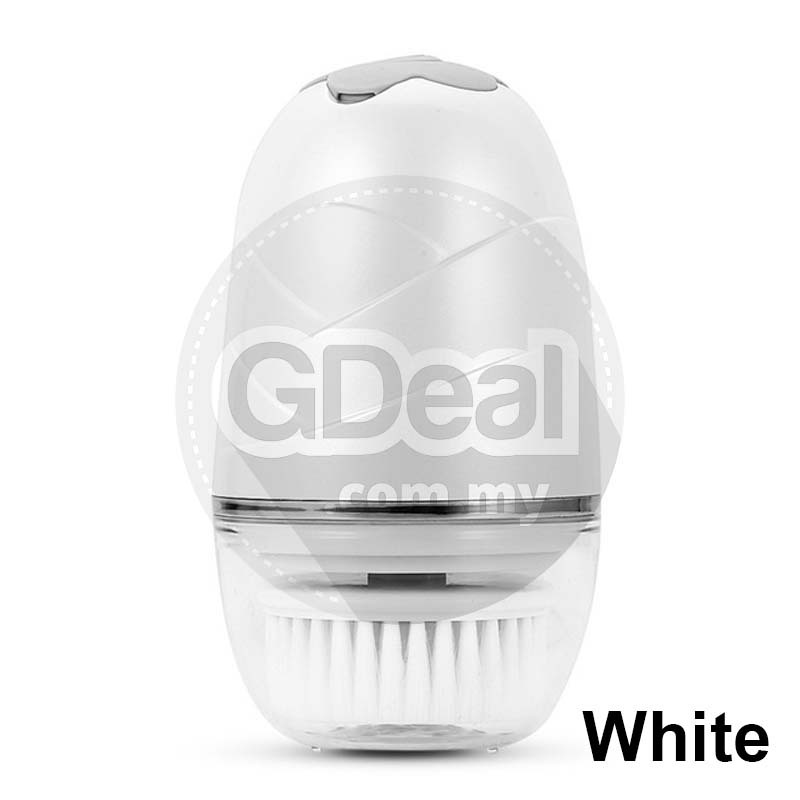 The USB facial cleansing brush can be rechargeable. USB cable is included. You can use it with any facial cleanser or exfoliator. 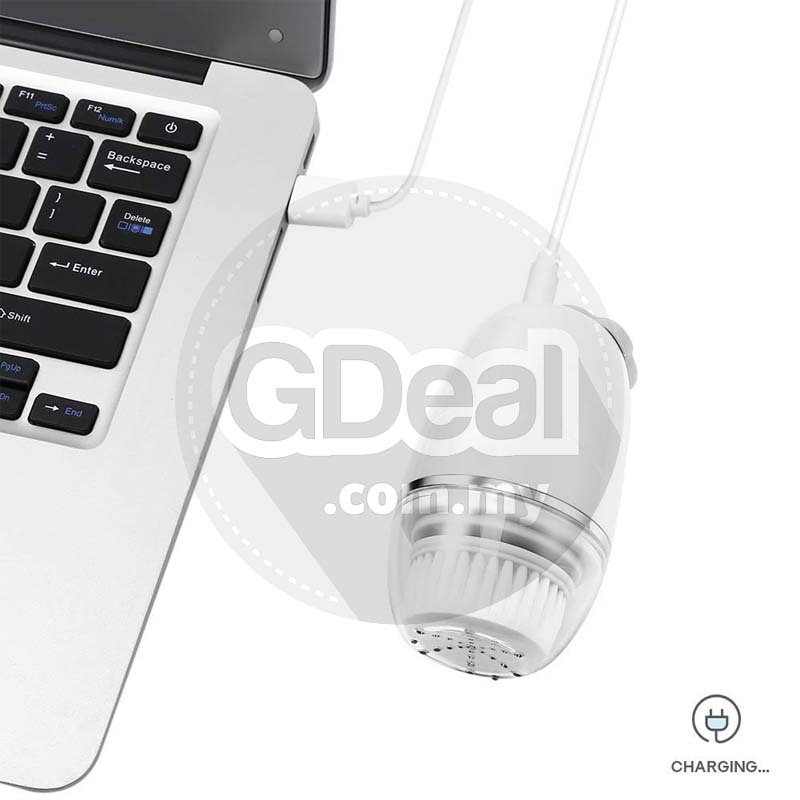 It can continue using over 1 week for your daily cleaning with charging 2 hours. It is also very handy and lightweight so it save space in your bag. You can enjoy the full spa experience on facial care where you go or at you own home. Applicable skin: Neutral skin, mixed skin, dry skin, sensitive skin. Features: Filaments and deep cleaning pores, bamboo charcoal can absorb oil dirt, soft and skin care. Suit for fragile skin, can be daily cleaning. Applicable skin: Oily skin, mixed skin, acne skin. 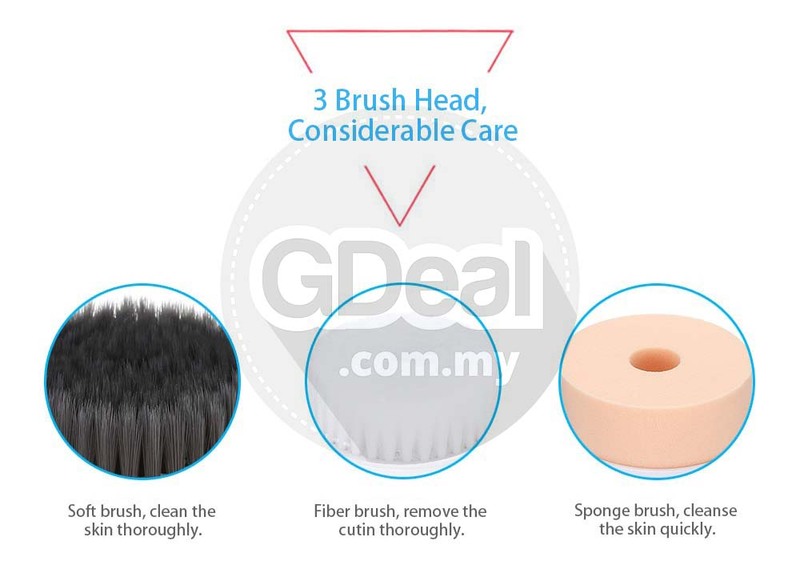 Features: Cleaning fiber brush head, suitable for the skin with severe pore obstruction, black head and over oil skin. 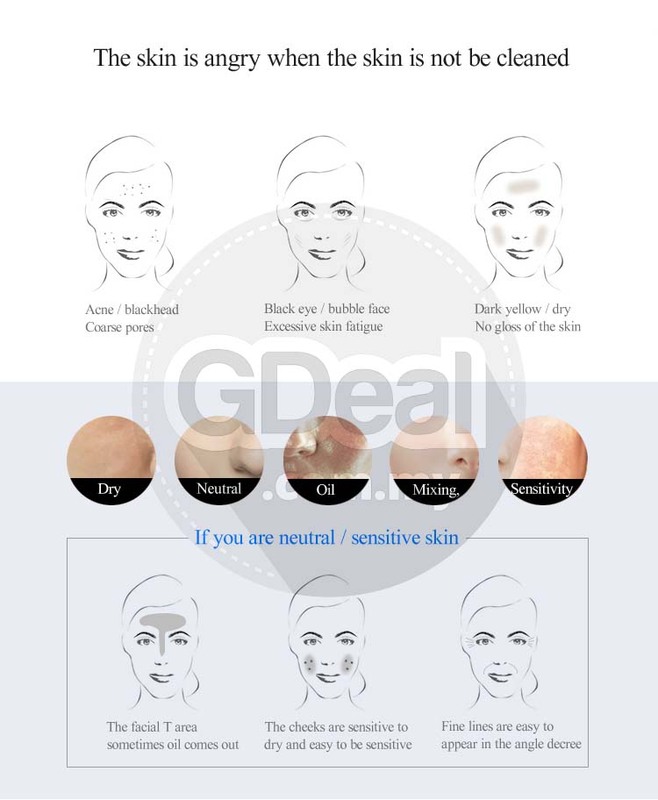 Applicable skin: Neutral skin, mixed skin, dry skin, oily skin, etc. 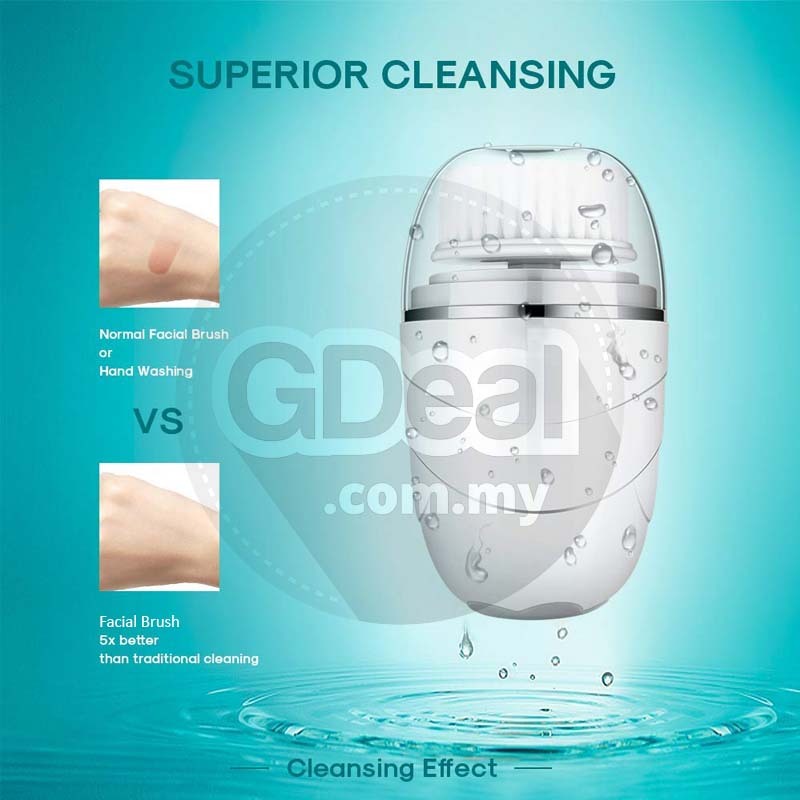 Features: Special makeup removal head, used to absord face oil, clean the skin. Apply cleansing foam on hands, moistened brushhead or apply cleanser directly to moistened skin. 30s on T-Zone gently moving the brush head on forehead, nose in small circular motions. 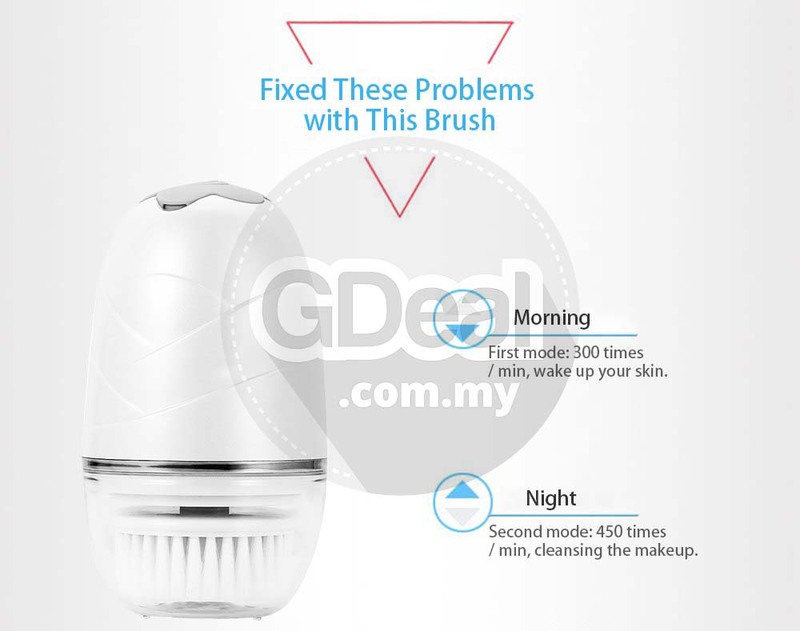 Clean face and the brush after use (To avoid short circuit, do not put the product in the water).